Jump to timeline Immigration to the U.S. 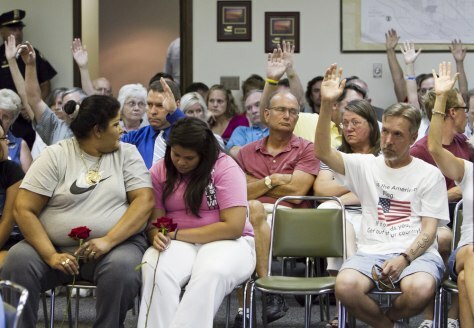 Audience members at a meeting Tuesday night of the Fremont, Neb., City Council raise their hands to show their support for implementing an ordinance restricting the rights of illegal immigrants. The council suspended the ordinance pending legal challenges.